Ubi Franklin & Controversial Kenyan Socialite, Vera Sidika Go On Boat Cruise (Photo). 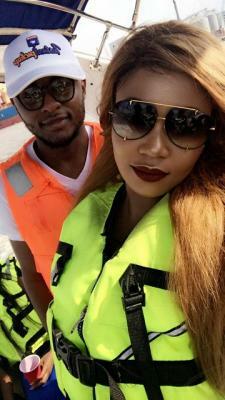 MMMg Boss, Ubi Franklin and Kenyan Socialite, Vera Sidika went on a boat cruise together.The pair had fun, and decide to share pictures of their time together. We are not saying they are involved in anything oh. My Girlfriend Gave me N2.7 Million…But How She Got it Will Shock You!